Let me just say I love books. I love to touch them, gaze at them, study them and run my fingers over their covers. I may be a dinosaur, but I still like the tactile touch of a physical book as opposed to viewing on a screen. I was thrilled to receive a copy of Room Recipes to review and salivate over. 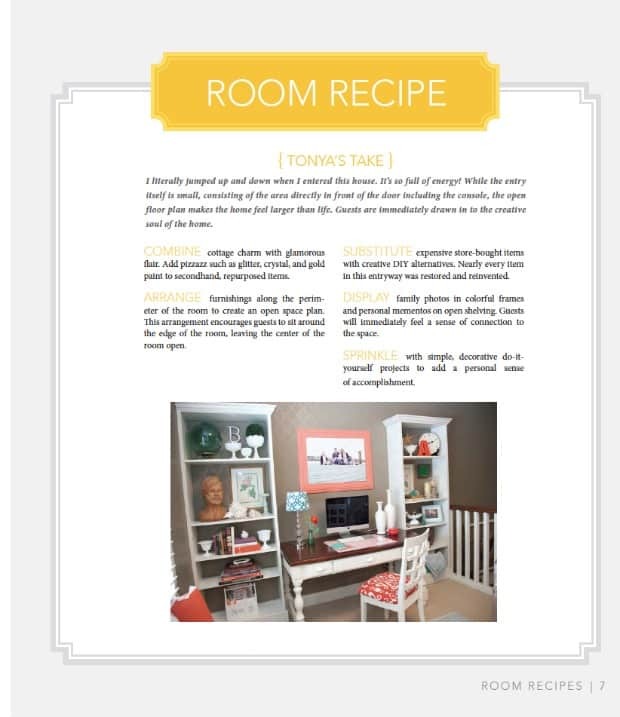 As a long time scrapbooker I love the idea of “recipes” for rooms, much like sketches for scrapbook page designs. I know what I love, but I am not a designer and may not always be able to tell you why something works. 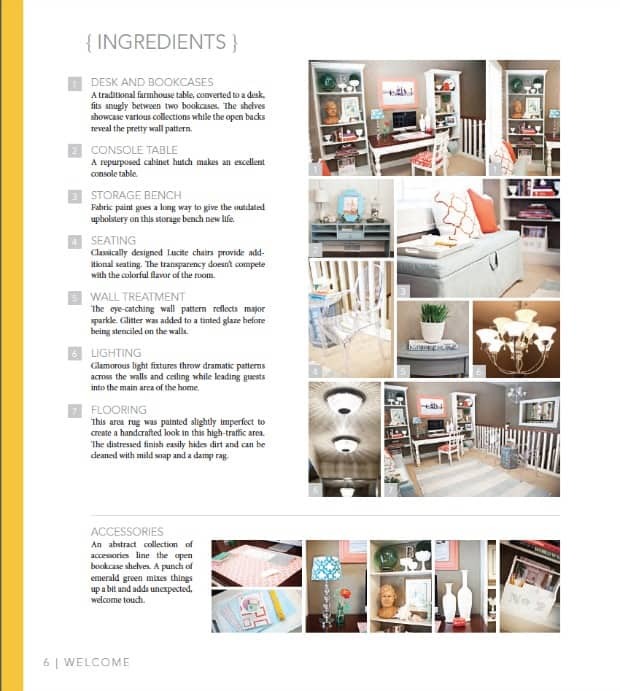 Tonya Olsen does and she gives all the tips you need to put together a home you love. 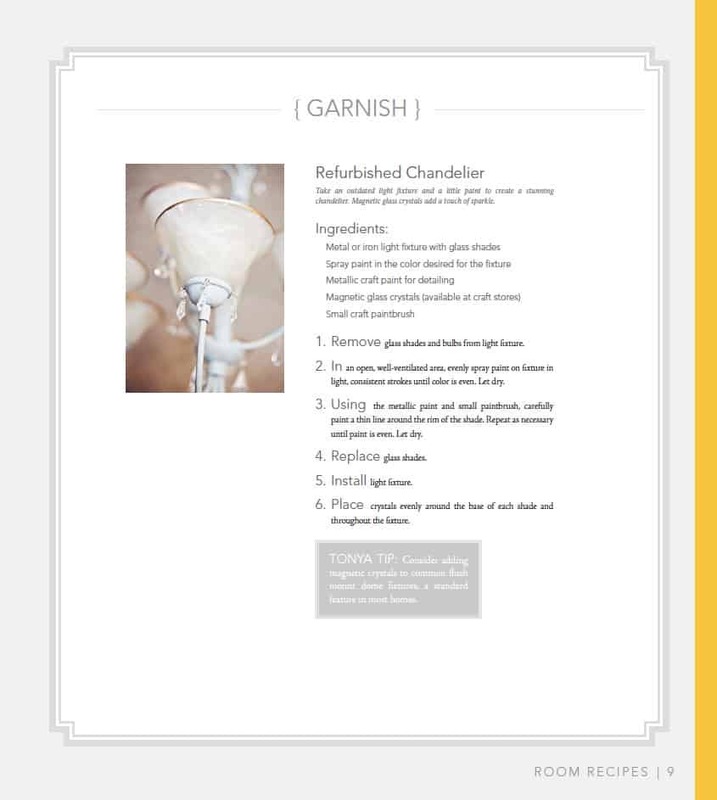 The idea behind Room Recipes is comparable to making a recipe your own. 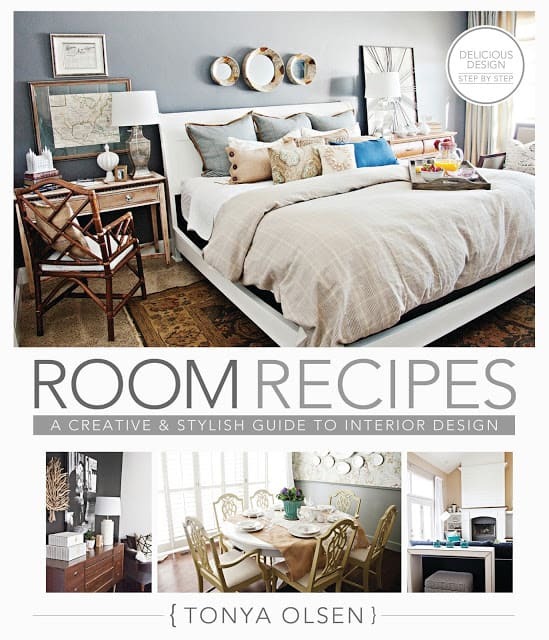 The book is categorized by type of room rather than specific style. Most of the spaces are a combination of styles and ideas unique to the individual. 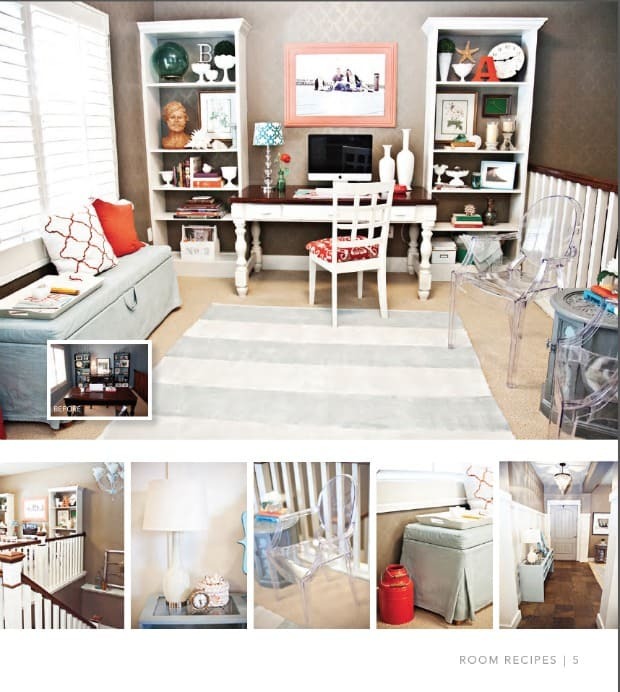 Tonya shows you how to take the “recipe” for a room and add your own flair and style to make it uniquely your own. I love that Tonya breaks down the spaces into chunks of information that can be easily applied to your own home and style. The book is stunningly beautiful, easily readable and filled with information you’ll want to pore over and absorb. This is definitely a book to cuddle up with on a cold winter’s evening, allowing for time to dream and imagine. You can learn more about Tonya at her website or like the Facebook page for the book. Disclosure: I was provided with a copy of the book to review, but the opinions are all mine! Hey, Diana. I’m pretty eclectic, too, and I’m learning how to pull things together and make them work. It really is not as easy as those that are gifted in design make it look!